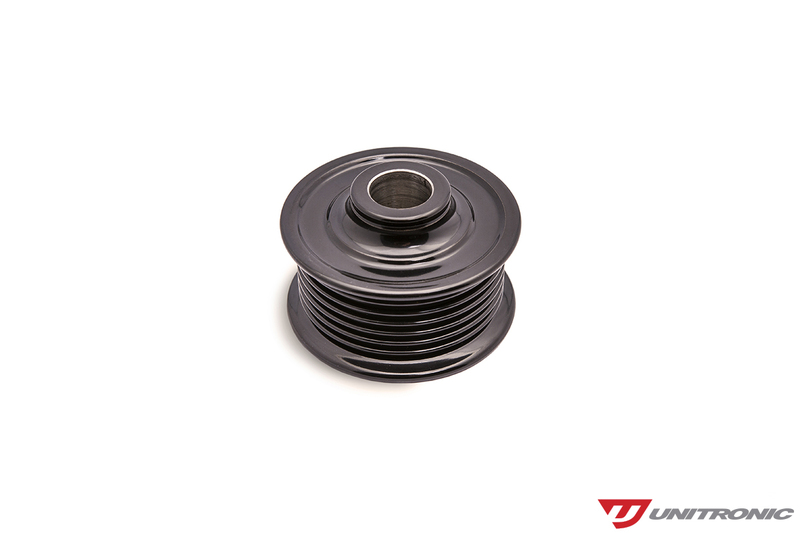 For Clients interested in upgrading their vehicle equipped with the 3.0TFSI engine to the next level, Unitronic's Supercharger Pulley Upgrade effectively raises boost levels by increasing the speed in which the supercharger spins at, allowing for additional airflow to be ingested by the engine. Without a corresponding Software calibration to make use of the increased boost levels, the system will simply bleed off excessive boost resulting in no benefits. 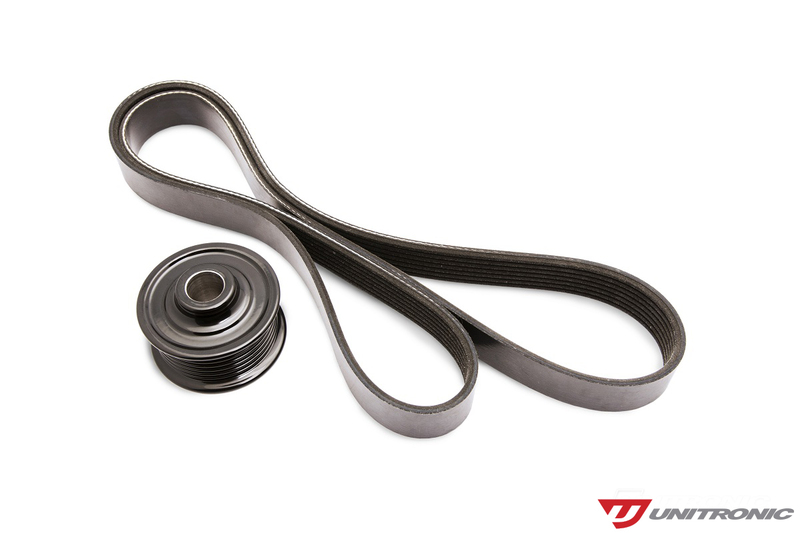 Unitronic has developed corresponding Stage 2+ Performance Software for use with its Supercharger Pulley Upgrade to provide increases of 117HP / 60LB-FT over stock. 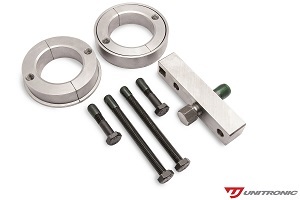 Unitronic's Pulley Upgrade Kit is very straight forward to install. 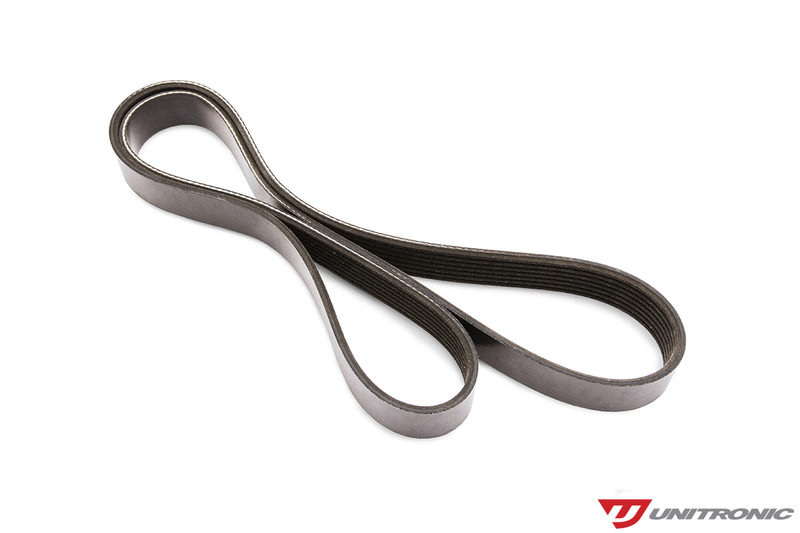 Consisting of many OEM and precisely engineered Unitronic components using the latest in 3D modeling technology, to ensure perfect fitment and maximum performance.